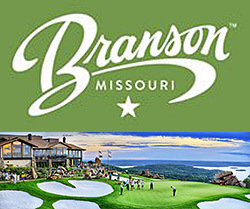 Branson Convention and Visitors Bureau (“Explore Branson”) continues investing in its golf product, which is increasingly garnering global attention and traveler demand driven by new, paradigm-shifting courses joining existing high-quality ones in the destination. Furthering its support for and knowledge that the travel niche is just beginning to achieve critical mass – and is poised to explode through expanded brand awareness – Explore Branson last year joined the International Association of Golf Tour Operators. IAGTO is golf tourism’s global trade organization, featuring more than 2,750 member companies in 104 countries including over 700 golf tour operators in 64 countries. IAGTO operators control over 87% of all golf vacation packages sold worldwide with annual sales exceeding $2.5 billion USD. What distinguishes the recently developed golf venues from others are their one-of-a-kind components. Nowhere else does players’ green fees get them play on an award-winning course by Nicklaus (Top of the Rock), but also admission to an adjacent geological wonder – the Lost Canyon Cave and Nature Trail, complete with underground waterfalls and a bar. That Top of the Rock is the only par-3 layout that has been played as part of a PGA TOUR event in TOUR history – the Bass Pro Legends of Golf at Big Cedar Lodge – underscores its unique excellence. The geological theme runs through the area golf product. Millions-year-old limestone formations were unveiled and integrated into the Mountain Top Golf Course (designed by Player), which opened for its first full season in 2018. Adding to its unparalleled attributes are its unorthodox length (13 holes) and playing locations – players choose the teeing area on golf holes, which means they provide a different experience with changing starting points. Two new courses will open in 2019 and 2020 – Ozarks National and Payne’s Valley – both highly anticipated because the former will be played along with Top of the Rock in the Legends of Golf tourney, and the latter is authored by Tiger Woods and his golf architecture firm, TGR Design. It is Woods’ first ever public course – and includes a spectacular 19th hole with remarkable stone outcroppings and waterfalls – bringing to five the number of new courses that will have recently opened in the destination. That’s supersonic speed compared to the turtle’s pace that is post-recession golf course development worldwide. That the charming Ozark Mountains enclave has added significant new attractions and development in recent years – from zip lines, museums, and new hotels, to Branson Landing, Dogwood Canyon, and several golf courses – has further catapulted Explore Branson into top destination status. So much so that the New York Times named it No. 21 on its “Top 52 Places to Visit Worldwide” in 2018.